A workman’s expensive tools have been stolen from a silver Citroen Dispatch van in Portadown on Saturday afternoon. The incident happened between 1pm and 4:30pm opposite the Post Office on Brownstown Road in Portadown. Drills, batteries and tools were stolen from the parked van. 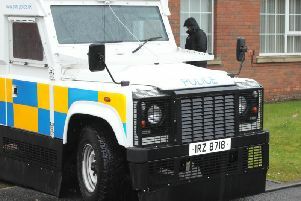 A PSNI spokesperson said: “Someone’s livelihood, snatched in seconds. Police said: ““We believe a dark coloured old shaped SUV may have been involved. “If you saw anyone in the area acting suspiciously, anyone near or at the van, or have any further details on our suspect vehicle, or if you have any dash cam footage of the area at the time, please get in touch. “The incident number is 1057 of 06/10/18,” said the PSNI.